These photos are of the NEW Easywalker MINI Stroller. Let us first of all apologise because these photos are not quite in the usual order because our system failed to cope with the quantity of photos. So the parent facing photos are first in this set. It shows the new version of the Easywalker MINI Stroller with the seat forwards and reverse facing. The seat unit folds with the seat left both forwards and reverse facing too. The MINI Stroller will freestand when the seat is forward facing. There are photos also of the New Easywalker MINI Stroller with the carrycot and as a travel system. The carrycot can be folded flatter for travel and can be left on the chassis when folding. There are two ‘buttons’ at the end of the carrycot – one when pulled makes the carrycot go flat, and the other stands it back up again. Most ingenious! At the head end of the carrycot is a handle. When pulled, this releases the carrycot from the chassis. The carrycot sits on an adaptor block which fits into the hole in the centre of the chassis. This can be left in position if the car seat adaptors need to be used. The car seat adaptors wrap easily around the chassis. 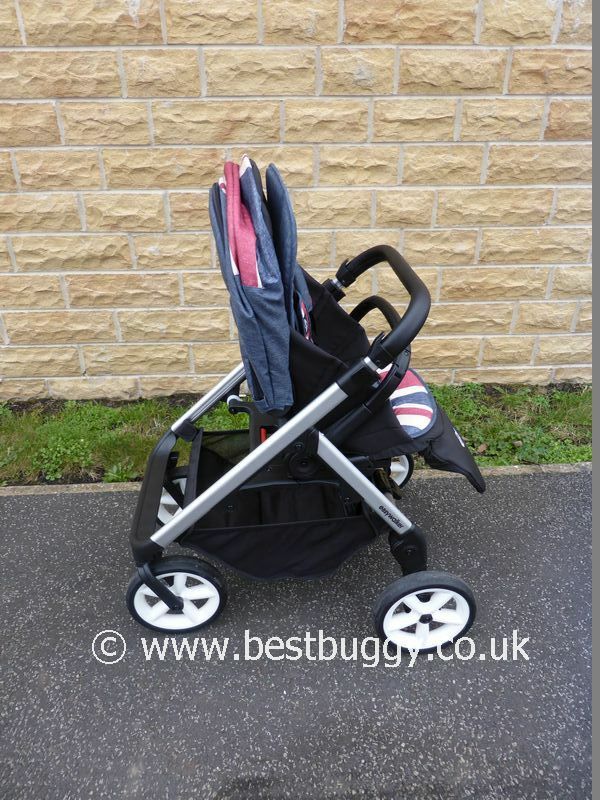 Our full new Easywalker MINI review is here and this will explain more about these photos and how the pushchair works.